Morris Rosenthal has written a book that includes 17 flowcharts to help walk you through the process of troubleshooting computer related hardware issues. 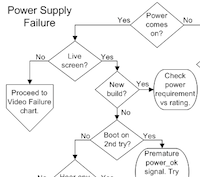 He is offering eight of these flowcharts for free on the Foner Books website including a boot failure troubleshooting poster. Whether you are training new techs or are a new tech yourself these are great tools to help teach and learn the process of troubleshooting computer problems. not for absolute beginners, as you can see from looking at any of the diagnostic charts. There are no photo-illustrations in the book, no history, nor explanations of basic computer part functions, like “What’s a hard drive?”. The sole focus of the book is learning a structured approach to PC repair. The intended audience is hobbyists who already have some experience repairing computers or beginning computer technicians. You can access these free flowcharts on the Foner Books website at http://www.fonerbooks.com/pcrepair.htm. You can also purchase the book with all 17 flowcharts on Amazon.com or the eBook on the Foner Books website. This is Good info and I can say I have the pc repair flowcharts and the laptop flowcharts and they are the best i used them more than my Power on self test card so I recommend these charts to any technician. Charts are really necessary for the technicians. They are really helpful during the repairing process. They help a technician to create an image about the board. Really, this is a good one for pc repairing.The flowcharts help us to know our hardware and also the boot failure. It also help the newcomer.Thanks again for sharing with us this book. 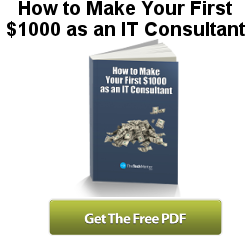 This article is very useful for day to day easy working professionals. It will ensure that your system works healthy and smoothly. There are several apps are available online which enhances your system’s performance. We must try to utilize them and help those developers. Great! In that case this article serves as training ground of the reader.You don’t need to go to school to learn those things what you have to do is to read this blog. d) Knoppix – usually installs from CD – not USB – so its the biggest/fattest to download and that can take hours.